“The aim of this book is to shed light onto how STIs affect men, and sexual health and their well-being. 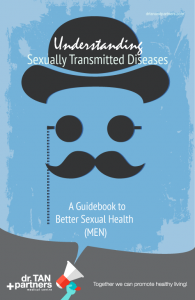 We hope to use this book as a guide to educate our readers on the symptoms of STIs. It is important to go for screening develop any symptoms. make informed decisions for their sexual well-being. In the course of my work I have noticed the rising rates of people contracting HIV.